Can Landlords Change Rules Mid-Lease? 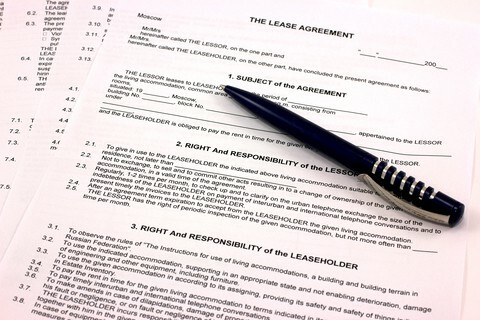 Home · Property Management · Landlord Forms : Can Landlords Change Rules Mid-Lease? It’s often necessary to draft a list of rules and regulations for tenants to be used in conjunction with the lease agreement, especially in multi-unit rentals. Otherwise, landlords and tenants are left to sort out the day-to-day management issues without any written standards. That can lead to conflicts, and claims of harassment or discrimination. While the rules sheet is usually incorporated into the lease agreement, landlords who use a separate set of tenant rules often will reserve the right to change those rules from time to time. This is usually done by making a revised list, and then demanding tenants sign the new one. But can a landlord change the rules mid-lease? Not surprisingly, the answer depends on the rule that is being changed. The lease agreement is a contract, a bargained-for exchange where each side gets some things, but gives up some things in return. So, in order to determine whether a rule can be changed mid-lease, you need to decide whether the new rule changes the terms and conditions of the bargained-for rental agreement. That means anything that materially changes the way the tenant lives day-to-day, or costs the tenant more money, may not be subject to change via the house rules. The rules are a place for logistics, like acceptable conduct in common areas, a prohibition against leaving laundry unattended, or where to place the trash. The term ‘rules’ is a misnomer; they’re more like guidelines than actual rules. More significant changes, like a smoking ban, or new parking fees probably require an amended lease, not just a rule change. That way, the tenant has the right to negotiate, and the change can only happen if they agree. That would be the case even if the lease allows the landlord to change the rules from time to time. This practice is not only safer from a legal standpoint, but far more likely to bring about the tenant’s compliance, which is the ultimate goal anyway.